You can find below a brief description of the game and the interface, but you can hardly play without reading the rules! In the case of a tie, the winning player is the tied player with the most empty estate spaces, not the fewest. 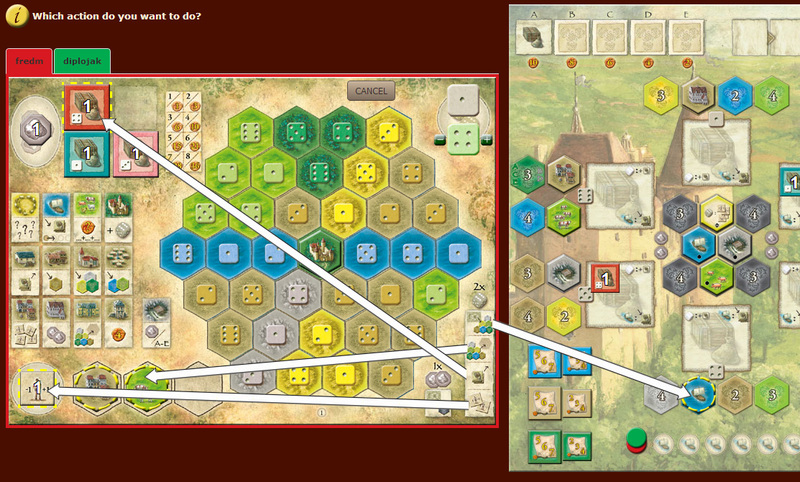 A player's turn consists of carrying out exactly two actions, one per die. Once a die has been used, it turns red. the current die is green. A die is required for each action. The two actions per turn may be carried out in any combination and order (including carrying the same action out twice).